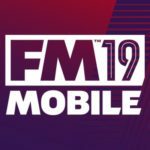 Sports Interactive, with the help of SEGA, has brought Football Manager to mobile devices once again, and the latest game in the series, Football Manager 2019 Mobile, is now available for iOS and Android device owners. For this year’s edition of the game, you will again have the choice of managing in any one of dozens of leagues in 21 countries, with the usual plethora of actual players simulated in the game as closely as possible to their real-life equivalents. You can start out at the very top, with your favorite team from any one of the available countries’ top-tier leagues, or you could claw your way up from the bottom-tier leagues, in hopes of writing your own in-game Cinderella story and making it all the way to the upper rungs of the topmost league several (or a few) seasons down the line. At the end of the day, it’s all up to you! 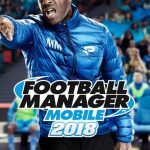 Our last two Football Manager 2019 Mobile guides focused on beginner and intermediate tips, with the first guide being more of a general one, and the second guide having a particular focus on in-game tactics. In our third Football Manager 2019 Mobile strategy guide, we shall be listing down nine tips mainly designed for advanced players, and this time mainly focusing on player management. We will, however, include a few tips here and there that focus on other facets of the game, so keep on reading if you’ve been playing the game for more than a few in-game months and need some help keeping your team (even more) together! It may seem a bit fatiguing and overwhelming to go through each and every player on your lineup, but sometimes, you’ll need to take a longer, harder look than usual at your first team, and maybe sometimes at your reserve lineup. This tip shall focus on the player menus, and why each of them could be important during a given occasion while playing Football Manager 2019 Mobile. Simply swipe left or right to navigate through each sub-menu, or tap on the button to the left of the current in-game date to manually choose the sub-menu. The Player Profile is the very first thing you’ll see when you tap on a player’s name, and this is basically your ground zero for most things player-related. You’ll see their basic information, which includes, but is not limited to their name, position, age, value, and wage, as well as their individual ratings in various attributes, ranging from 1 (very poor) to 20 (excellent). You’ll also see their roles above their attributes — discussing each individual role is a topic that warrants a separate guide on its own, so we wouldn’t go into detail into this part of the Player Profile for the meantime. What we will get to in a later tip, however, is the Morale section; this is located on the lower right of the profile, together with a player’s Condition (how healthy they are), Form (their rating in their last five games), and Average Rating. Player Personal is a bit of a deep-dive into what makes a player tick, as it doesn’t just show their morale, but also their personality, favored club (the club they prefer to play for by default), and favored person (someone whom they prefer as a teammate or manager). You’ll also see if a player has a second nationality, which could allow them to alternately qualify for a second national team other than that of their home country. Player Positions is pretty straightforward — it shows you the positions a player could, or could not be placed in, based on how competent they are playing them. Green refers to a player’s ideal position, yellow refers to one which they could play competently, but not particularly well, red refers to one where they aren’t quite up to par. We wouldn’t really recommend paying much attention to the Player Contract and Player Match Eligibility sub-menus, as the basic contract information is in the profile, while you’ll know right away by looking at your first team whether someone is ineligible to play due to injuries or bans (suspensions). Player History could be quite interesting, as this gives you a rundown of each player’s career stats, with past seasons, of course, representing real-life numbers, and the 2018/19 season going forward all a product of what happens within the FMM 2019 universe. Player Achievements works the same way by recapping a player’s career awards and accomplishments. The Coach Report sub-menu is one we believe you should especially focus on, as it shows you a player’s current and potential ability on a scale of zero to five stars, and how they compare with other players on your club who play the same (or similar) position. You’ll also see a detailed list of strengths and weaknesses (or positives and negatives) for each player. Similarly, the Training Report, which is the very last sub-menu, allows you to choose a role a player should focus on in training, the intensity of said training, and an attribute you want the player to improve on. This sub-menu will also show a list of positives and negatives, this time centering on how your players are reacting to their current training regimen. In the middle of the two above menus are the Player Progress and Player Form sub-menus. The former is most useful if you’re monitoring the improvement of your team’s younger (21 and under) players, while the latter is simply a recap of a player’s game ratings in graph form. Winning matches, as you’ll eventually discover, is not enough to make many a player happy. A lot of players will expect to have a regular role on your club, and when we say “regular role,” we usually mean starting most, if not all games, and preferably not coming off the bench as a substitute. This is exactly what we meant by going back to the Player Profiles every now and then, because you might not know it, but some of your players may be complaining about their role on your first 11, or lack thereof, and doing so through their below-average morale. Of course, a player’s morale could also drop for other reasons, such as a run of bad team form leading to consecutive losses and/or draws, or a serious, long-term injury. Players with poor morale ratings tend to do worse than those whose Morale is rated at Good or better, and while they should start performing better once you give them the playing time they expect (or once your team’s form improves), it won’t be easy at first. Of course, the old adage of not being able to please everyone applies when it comes to this tip, but as much as you can, it’s important to mix things up and give more than just your usual 11 starters and seven substitutes a chance to show their stuff. For example, you can have a lineup featuring some of your usual second-stringers as your starters when playing matches against weaker opponents, especially if you’ve got the home field advantage. Just be careful not to play too many of these unlikely starters, because you just might get upset by a hard-working opposition! Player morale is the main variable that determines your Squad Harmony, and as you may notice as time goes by in your FMM 2019 save game, you may have a harder time selling the board on your Squad Harmony than your performance in league and cup matches. As we mentioned above, players could suffer from poor morale at various points. We already discussed the “usual suspects” in decreasing player morale, namely a lack of playing time and poor team form. However, there are other factors that could come into play. As it is in the real world, players could get insecure and become unhappy because someone on the team earns more than they do, or if they are having a hard time settling in a new club or country. The latter is important to keep in mind when signing players from other leagues. Likewise, players can see their morale decline if they feel they aren’t earning enough win bonuses (this is set at the start of the season), if you don’t back them up sufficiently in interviews, or if they don’t see you as reputable enough to run the club. Being a manager doesn’t solely involve making sure you’ve got a winning club and trying to keep as many players happy as possible. In connection to what we told you in the second tip, players with poor morale will often seek a move to another club, and the football press will often pick up such rumors before you officially “know it.” That’s just like it is in real life, and likewise, you may be interviewed from time to time to comment on your plans for a player who’s allegedly unhappy and wanting to leave the club. While it may seem like these questions have no real right or wrong answers, you’ll need to consider a few variables before answering them. For example, if a highly-regarded, highly-valued, yet underutilized player wants to leave, there’s usually a good chance the board would prefer if you told the press you’re willing to have them listed for transfer. Conversely, the board might not be too happy if you gave the same answer when it comes to someone who’s a valuable part of your usual first team. Answering “no comment,” on the other hand, may sound safe, but it could also disappoint or surprise to the board because it makes you look like you’re not willing to take a stand on certain matters. The same applies when one of your top players gets hurt — the media could interview you to pick your brain and see where you stand regarding said player’s first-team status. Do you think he’ll regain his place once he’s healthy, do you expect someone to displace him in his absence, or do you refuse to comment? This one’s something we probably should have mentioned in our previous Football Manager 2019 Mobile guides, but even those who have been playing for a while could make this mistake. And it’s a very easy one to make — if things are going well in your current save game, you may be content to let the game keep on auto-saving each time you exit the app or return to the intro menu. But what if you want to return to an earlier auto-save to play around with things, or check your progress in another save game where you’re managing in another league? If you aren’t careful, meaning if you access that second save game (auto-saved or not) twice in a row, your erstwhile most recent auto-save will be wiped completely! That’s why it’s best if you actually go to the Settings menu and manually save your games, to ensure that you’ve got that good progress saved for posterity. This is something we’ve noticed with Football Manager 2019 Mobile’s AI managers — they tend to get especially aggressive on offense in the last 10 minutes of a game if you’ve got a one-goal lead, or if the game is tied. That usually gives them a better chance of hitting the equalizer or go-ahead goal with very little time left on the clock — losing may hurt, but there’s no type of loss that hurts more than the one that happens toward the very end of a game! (The same applies to draws, but it can be argued that picking up a draw is better than taking the loss — at least nobody won either.) You certainly don’t want to be the manager of that team that always surrenders the heartbreaking last-minute equalizer or game-winning goals to your opponents. With that in mind, we strongly recommend switching to a Defensive focus at the 80th minute or thereabouts if holding a one-goal lead. If you’re tied in an away game against a formidable opponent, you might as well switch to Defensive as well. The fans will hate it, but again, draws won’t affect your record as much as losses would. But if the score is tied in the final 10 minutes and you’re up against a weaker/less favored, it would be best to go Attacking or Overload. You might as well play your heart out in hopes of picking up the unimpressive win, which is a win nonetheless at the end of the day. Aside from putting them in your first team from time to time, you can also choose the Player Interaction option to give them some praise — this could, at times, improve their flagging morale. Tap on the Actions button in any given player’s profile (on the bottom right of the screen), choose Player Interaction, then choose Positive. You can opt to praise a player in public or in private, though Assistant Manager will recommend whether a player responds better to public or private praise to their last match performance, their current form, or their training level. You will, however, want to give pause before praising everyone who’s sulking for one reason or another. There has to be sufficient reason for giving praise — for example, you can’t commend a player after he had a rating of 5, 6, or lower in his last match! This could upset the board, and this could upset other players, so make sure there’s a good reason before you go ahead and praise a player. Another caveat is the possibility that the player’s morale will remain just as it is — players in this game, like their real-life counterparts, may have a good sense of whether your positive comments are sincere, or nothing more than lip service to keep them from complaining. Worse, praising a player could upset them even further! They may feel that your positive praise is putting more pressure on them to perform, and that wouldn’t look good on their form once they report for training or suit up for your next match. Along with the positive interactions, you’ll also see a number of possible negative interactions that you can opt to use in the event of the following — poor performance, unprofessional behavior, or getting sent off. This may likely upset the player whom you’re disciplining, but the board would often find it to their liking if you crack down on the disciplinary measures. This shows them that you’re running a tight ship and wouldn’t stand for anyone’s shenanigans, even if it’s somebody who’s a regular first-teamer and a solid performer for your club. Like it is with the positive interactions, the game will gray out any interactions that aren’t applicable to a given situation. That means you can’t lash out at a player who had a rating of 6 in his last game after a string of 8’s and 9’s, because that cannot really be considered a poor performance in the truest sense! Feeling stressed out by the pressures of trying to live up to board expectations and disappointed by those close losses you could have otherwise avoided? Or maybe you just need to focus on your life in the real world, but want your save game progress to push forward as it normally would, assuming you had enough free time to handle things on your own. If that’s the case, you can go on a manager holiday, which is, like in previous editions of this game regardless of platform, a chance for you to let the Assistant Manager take over for the next game, for the next week, or one whole month.